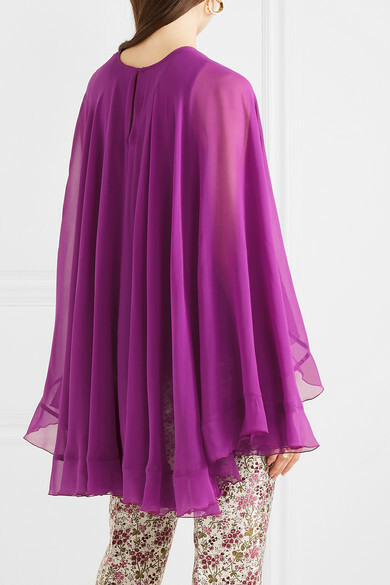 Giambattista Valli perfected his soft drapery technique as Creative Director at Emanuel Ungaro, and has put it to use on this fluttery cape-effect top. 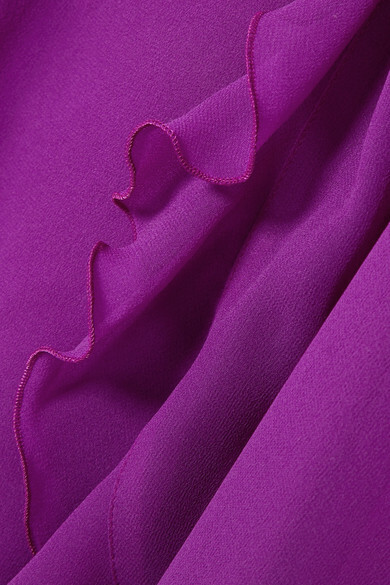 Made in Italy from rich fuchsia silk-chiffon, the outermost layer is gathered at the neckline. Wear it loose over a pair of tailored pants and add equally opulent gold jewelry. 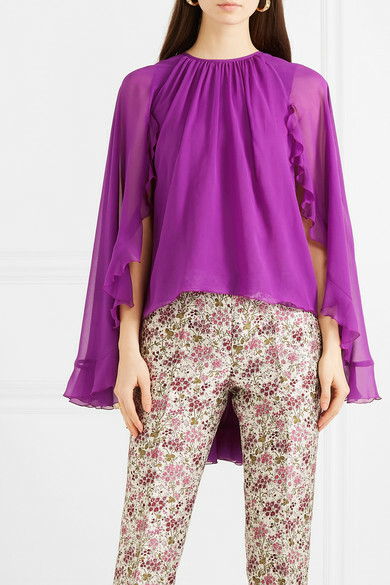 Shown here with: Giambattista Valli Pants, Bottega Veneta Clutch, Jimmy Choo Sandals, 1064 Studio Ring, Chloé Earrings.